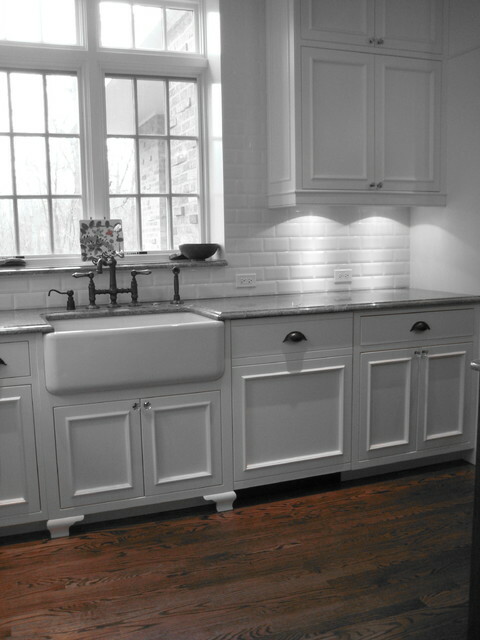 This kitchen features the farmhouse sink. I love the vintage cottage look! 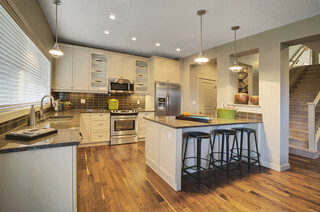 Love the bench attached to the counter top for built in seating. 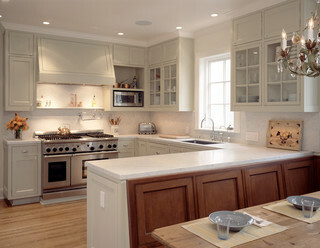 I like the color scheme of grey counter tops with the white cabinets. You may think I’m getting ahead of myself and I probably am. No matter which house it is, there is still lots of decorating and planning to do. Let the creativity, design, and imagination run wild. Having a blank canvas is always so much fun!